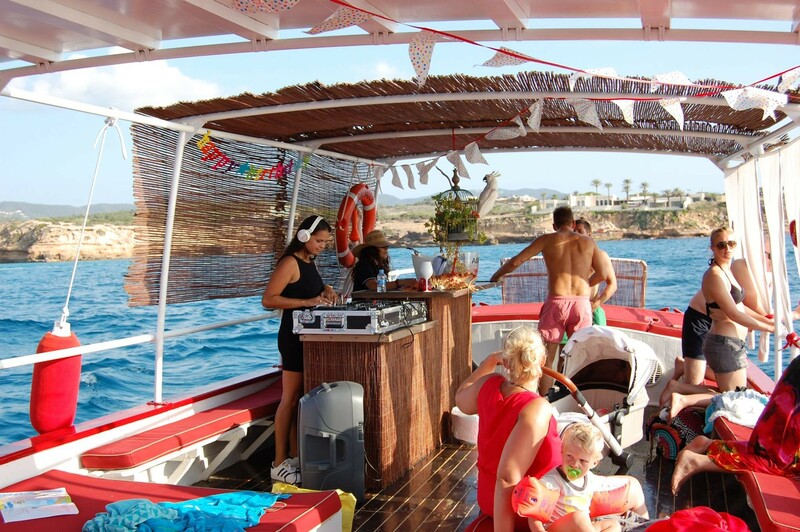 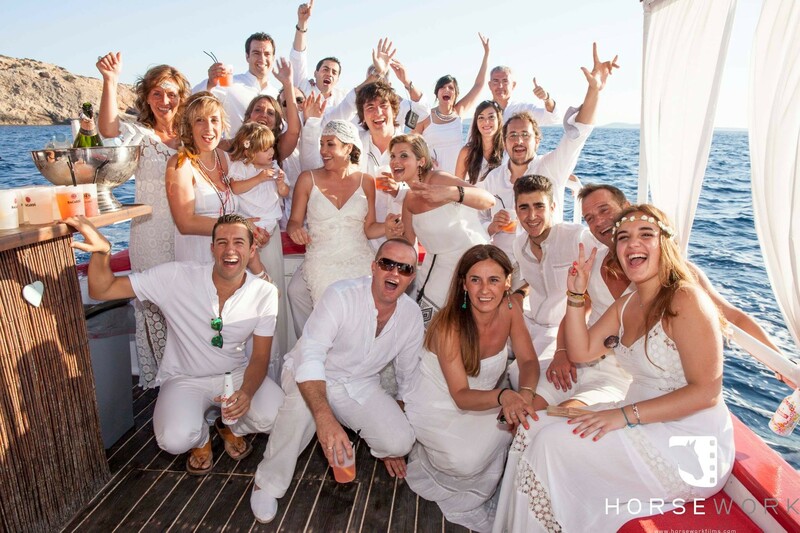 The ultimate classic wooden-decked party boat for up to 38 hedonists to enjoy a day, half day or sunset discovery of the hidden magical western coast of Ibiza. 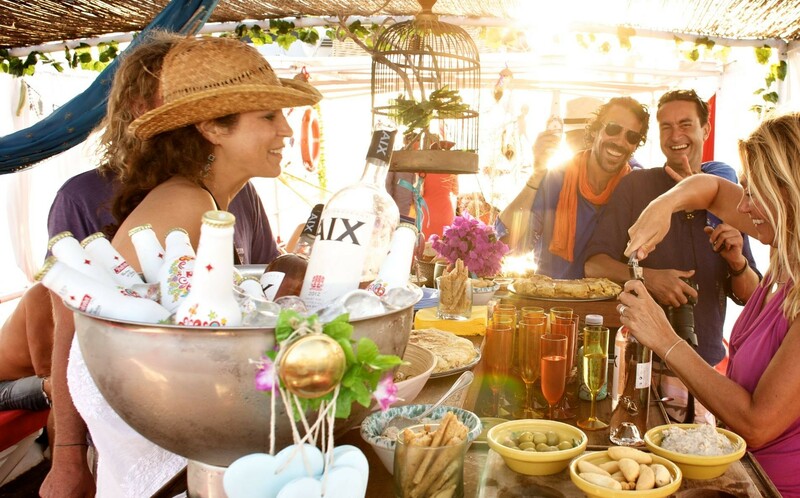 Celebrate your birthday, add romance to your wedding or just beat the drum to the setting sun with your best friends or family. 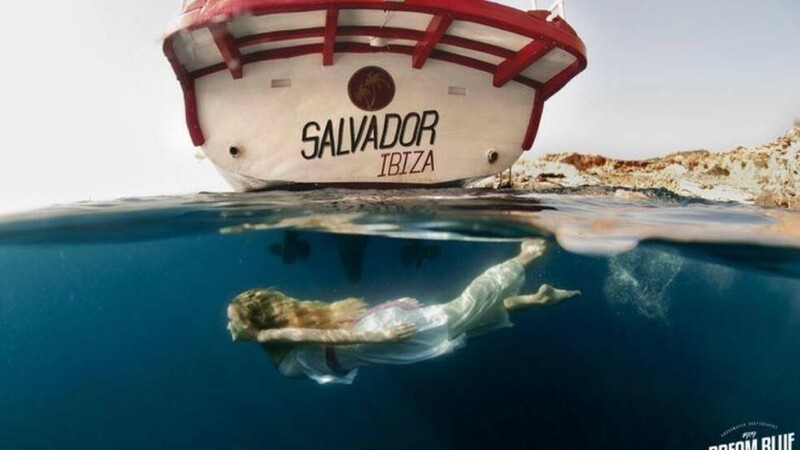 Far from the madding crowds and plastic boats of the South of the Island and summer bustle of Formentera. 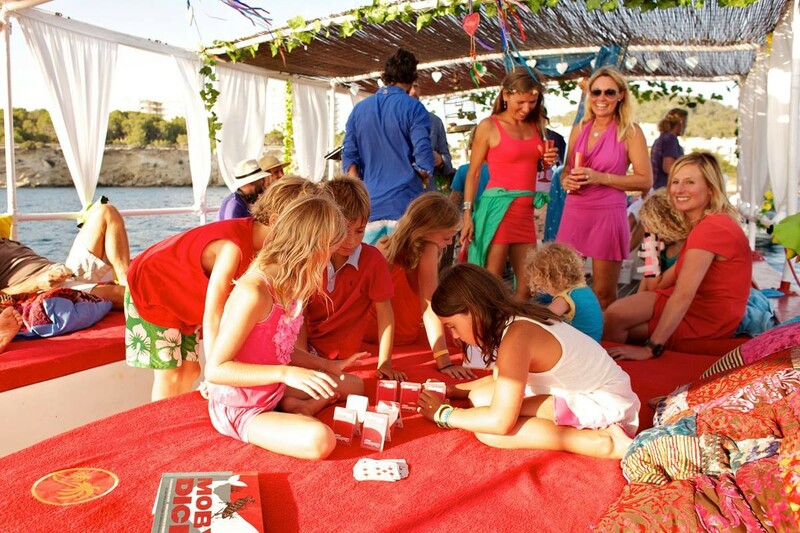 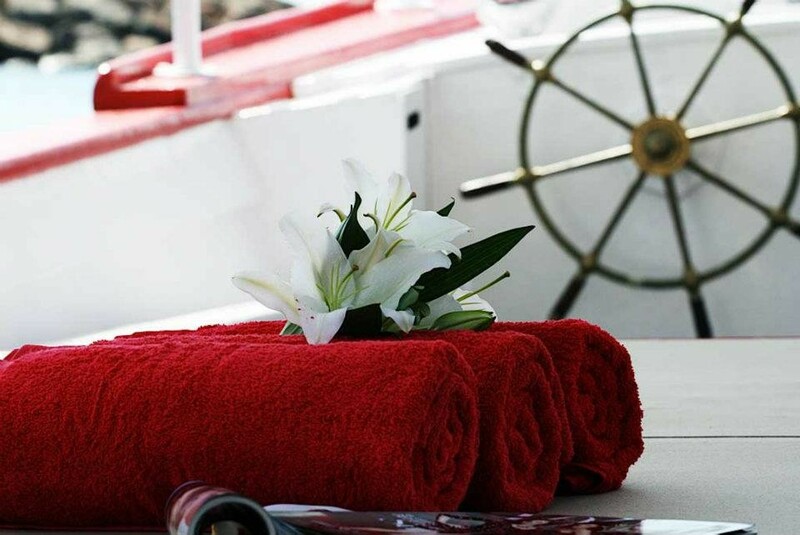 We originate in the port of San Antonio, close to the unspoilt and wilder Mediterranean delights of the western coast. 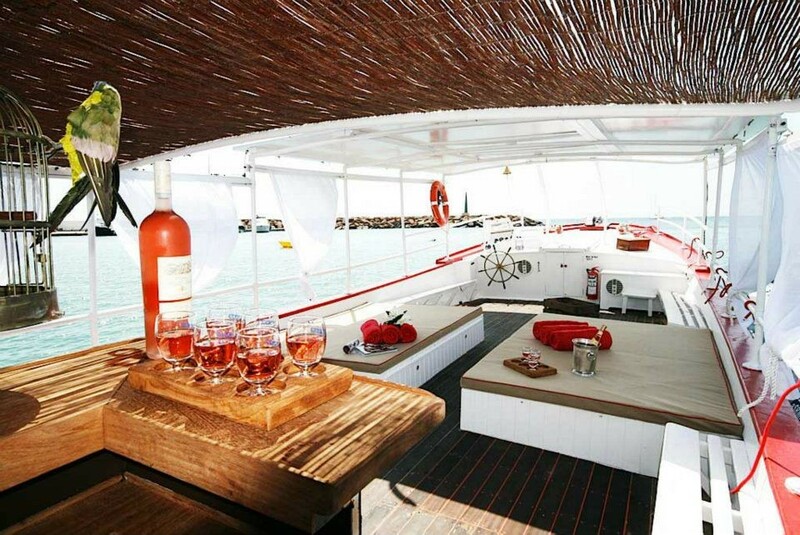 Satellite, Wifi and bluetooth connected MB Quart sound system, wet bar, super-cooling system. 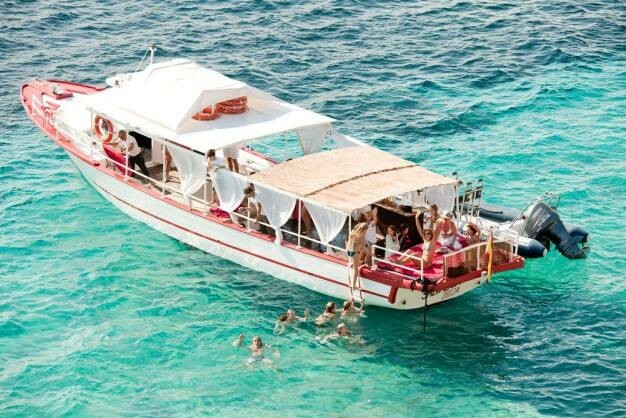 Lounge beds with sun, shade or faded sun options compete with the attractions of swimming and snorkelling. 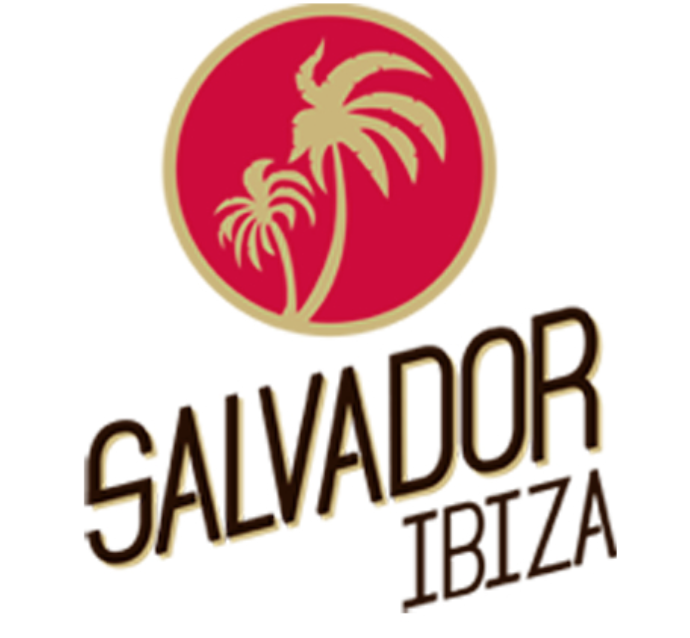 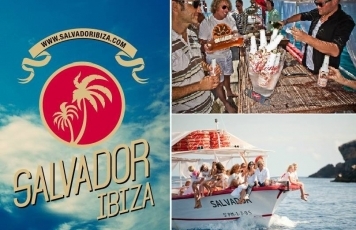 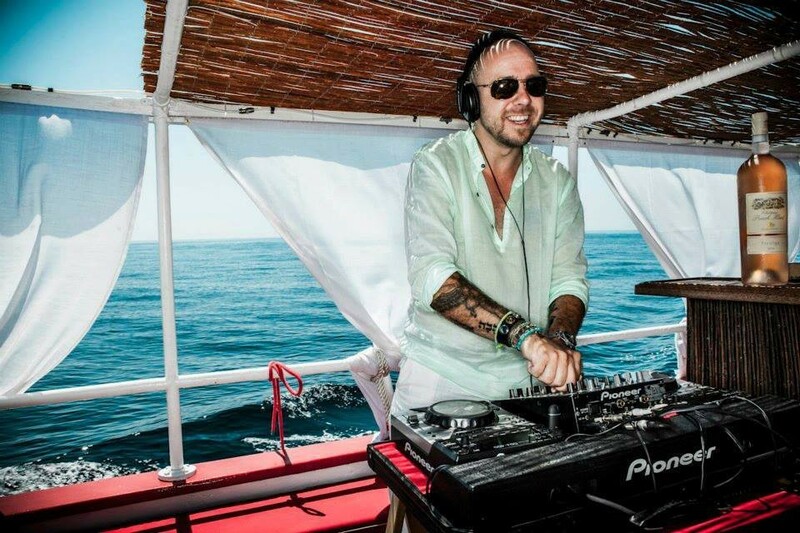 Salvador is fully equipped for glorious luxuriation amongst the tranquil nature with an ice-cold drink but always ready to dial up the party action for full-on Ibiza partying.